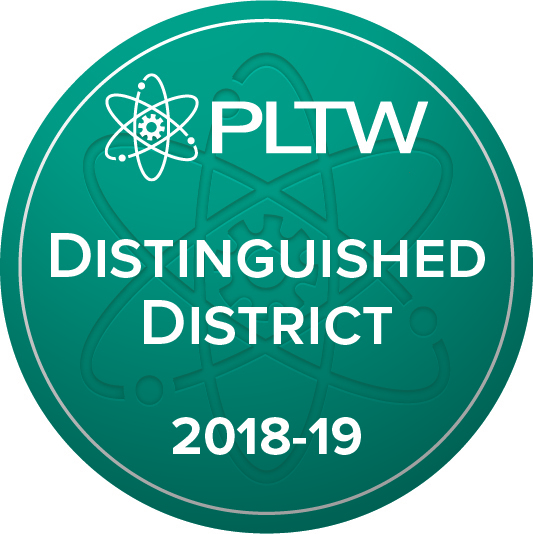 Star City, AR – Star City School District announced today that it has been recognized as a Project Lead The Way (PLTW) Distinguished District for providing broad access to transformative learning opportunities for students through its PLTW programs. It is one of just 21 districts across the U.S. to receive this honor and the only district in Arkansas to be awarded this distinction. PLTW is a nonprofit organization that serves millions of PreK-12 students and teachers in schools across the U.S. Through PLTW programs, students develop in-demand knowledge and skills that they will use both in school and for the rest of their lives, on any career path they take. As PLTW students progress through grades PreK-12, they are empowered to engage in problem-solving and process thinking, develop technical knowledge and skills, build communication skills, and explore career opportunities. Star City School District offers PLTW PreK (beta launch for the 2018-2019 school year), PLTW Launch (K-5), PLTW Gateway (6-8), and PLTW (Computer Science, Engineering, and Biomedical Science). Star City School District is part of a community of PreK-12 schools, colleges and universities, and corporate and philanthropic partners across the country united around a passion for providing students with inspiring, engaging, and empowering learning opportunities. For more information about PLTW’s recognition program, visit pltw.org/our-programs/program-recognition. For more information on Star City School District PLTW programs or to set up a school visit, contact Gina Richard at 870-628- 5125 or by email: gina.richard@starcityschools.org.